Il Care Refresh è una assicurazione DJI che copre i danni accidentali del vostro dispositivo per 12 mesi. E' UTILIZZABILE SOLO SU DISPOSITIVI MAI ATTIVATI O ATTIVATI ENTRO LE 48 ORE. Thank you for choosing DJI Care Refresh. By purchasing DJI Care Refresh, you acknowledge that you have read, understood, and agreed to these terms. DJI Care Refresh is created by SZ DJI Technology Co., Ltd. (hereinafter "we" or "DJI") to give you peace of mind. DJI agrees to provide replacement products for an additional fee if damage occurs accidentally under normal use to a covered aircraft, gimbal and camera within the period of validity. DJI has a relationship with an insurance company that covers the cost of these programs. If damage occurs accidentally to your product under normal use, DJI Care Refresh offers up to two replacement units for a small additional charge each time the service is requested. For the Mavic Pro, the aircraft, gimbal, camera, battery and propellers can be replaced. For the Phantom 4 Pro and Phantom 4 Advanced, the aircraft, gimbal, camera and propellers can be replaced. For the Zenmuse X4S and X5S, the gimbal and camera can be replaced. 4) Remote controller, battery of Inspire 2 and Phantom 4 Pro and Phantom 4 Advanced, and modification accessories. 1) If damage to your DJI product occurs and you are within DJI Care Refresh coverage, contact DJI Support via http://www.dji.com/support, TEL and ONLINE SUPPORT are preferred. 2) Send your product (including the aircraft, gimbal, propellers and battery) based on the DJI Care Refresh warranty plan you have purchased to a DJI designated repair center under the instruction of DJI Support. If you purchase DJI Care Refresh (X4S/X5S), send X4S or X5S gimbal. If you purchase DJI Care Refresh of Phantom 4 Pro and Phantom 4 Advanced, send the aircraft, gimbal, camera and propellers. If you purchase DJI Care Refresh (Mavic Pro), send the aircraft, gimbal, camera, propellers and battery. 3) DJI will send you the quotation of repair fees after it determines that the product is covered under DJI Care Refresh, you will receive the quotation of charge for the replacement service. After your payment has been confirmed, the replaced product will be shipped to you. Or you can choose to pay the cost of repair to repair your product. 1) The service has expired. 2) Your DJI product was repaired by a non-official DJI repair center. 3) DJI Care Refresh includes two replacements. If you claim for replacement of your product twice, DJI shall be considered to have fully executed the DJI Care Refresh service. The DJI Care Refresh service will then be terminated. 4) If the customer is found to have broken a DJI Care Refresh covered product on purpose, the service will be terminated automatically, and DJI will not offer a refund. If a customer is found to be causing accidents for financial gain, DJI reserves the right to take legal action. There are no hidden charges for the replacement service. After you purchase DJI Care Refresh, you will receive prioritized service. Each time the replacement service is requested, subject to your purchase region. For DJI Care Refresh (Mavic Pro), the first time replacement fee is €99, the second time replacement fee is €139. For DJI Care Refresh (Inspire 2), the first time replacement fee is €239, the second time replacement fee is €379. For DJI Care Refresh (X4S), the first time replacement fee is €59, the second time replacement fee is €89. For DJI Care Refresh (X5S), the first time replacement fee is €179, the second time replacement fee is €269. For DJI Care Refresh (Phantom 4 Pro), the first time replacement fee is €139, the second time replacement fee is €209. For DJI Care Refresh (Phantom 4 Advanced), the first time replacement fee is €129, the second time replacement fee is €189. 1) DJI Care Refresh can be cancelled upon return of the product purchased, according to DJI refund policies. 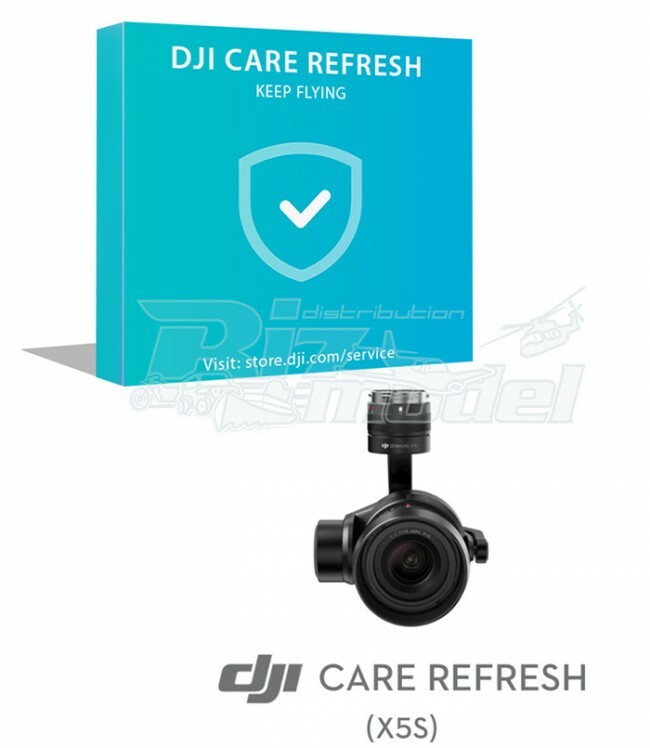 2) DJI Care Refresh cannot be cancelled without returning the product purchased. 3) DJI Care Refresh cannot be transferred after purchase.